Easter 2019 will be fine. Easter 2020 may be a problem. The Etive itself will be unaffected so far. The tributaries will be. Hopefully the planners will see sense! Findhorn comes up rather quick! This river is currently subject to an application for a hydro scheme and there is limited time for people to get their views known. Any idea of a grid reference for this please? I think I know where it is, but just want to check. Not sure but I think 909771! ArkguideChase, You have a few options with local paddlers. Paddletastic meet each Thursday between 8 and 10 pm at the excel, just outside the university for some practice and a rough and ready version of kayak polo. Leamington Spa Canoe Club, Mercia Canoe club and Hinckley are all close by too. Enjoy! Why not use gopro's own, free editing software? We used this last weekend. it was excellent. More parking at Witches Steps and no up to the waist muddy portage. The path runs from the bottom of End of Civilisation to Witches steps. Topic: Kayaking prohibited at G20! The gauges are all online. 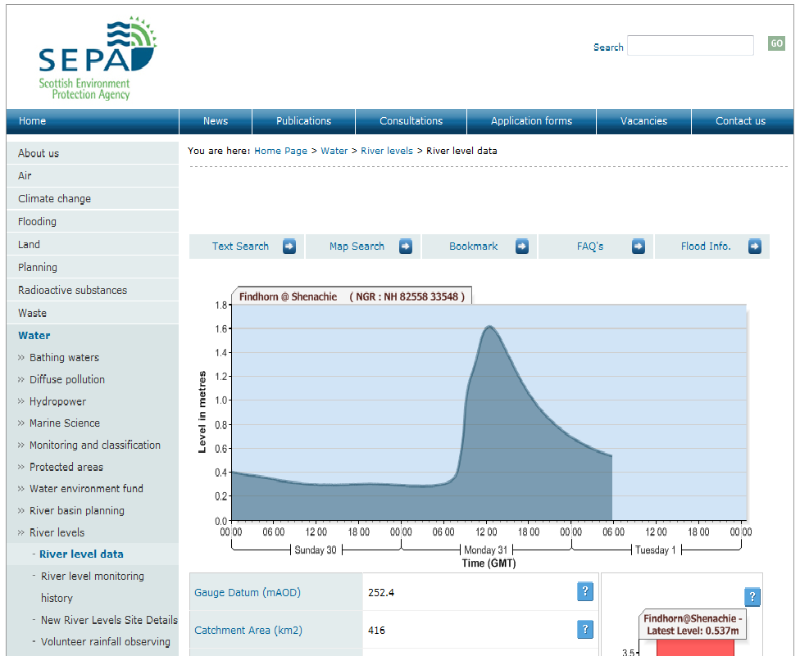 Go to the Where's the water website and you can look at virtually live levels (a few hours old). A fair amount of water about at present! Canoe England promoting a page that suggests the river Dove is not usually open to paddlers!! Probably a good event but a poor message. Thanks, just thought that was ironic! Nice. River at 2.20 please? I've bought a second hand Neutron. How do I identify which construction it is? Any tips gratefully received. Thanks for the replies, turns out it fits in the car! Will worry about it once I need to carry more than one boat. I seem to have bought myself a Carbon Boat. I have always had plastic boats and strapped them down on the roof bars as hard as I can. I presume this is not a good idea with Carbon boats?